The RC Racer team, consisting off Andy Travis and myself have been participating in the inaugural Iconic Cup series this year. The event is based on the TamiyaCup series that used to run in the UK, and it is open to most of the Tamiya on-road cars that were manufactured before 2005. 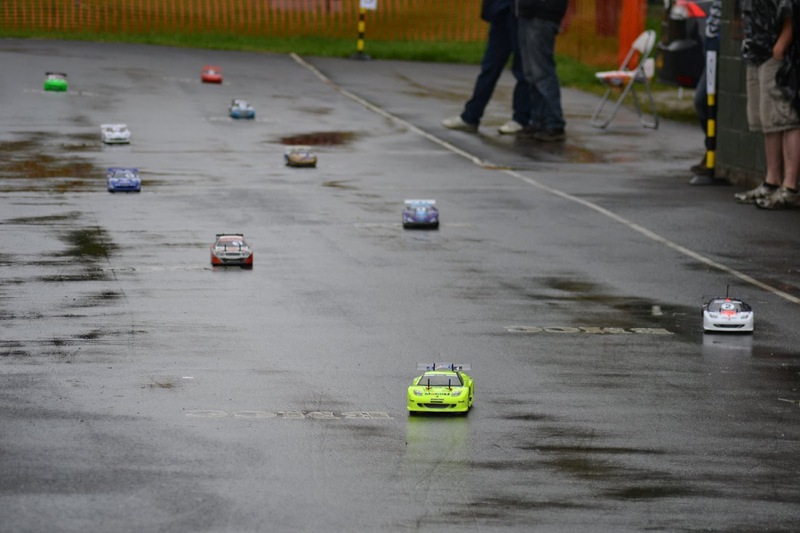 It was spread over two rounds, one at West London Racing Centre and the other at Broxtowe Model Car Club. 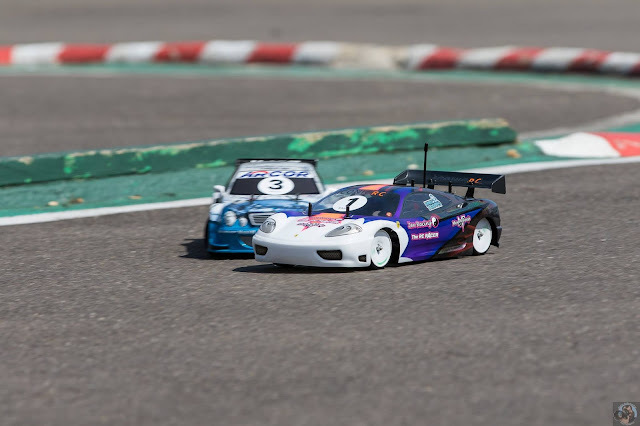 For the championships, Andy decided to race in the stock touring class with his TL01-LA (Click here to see a close up of his car) and I went for the TRF class with a TRF415ms (Click here to see a close up of the TRF415ms). 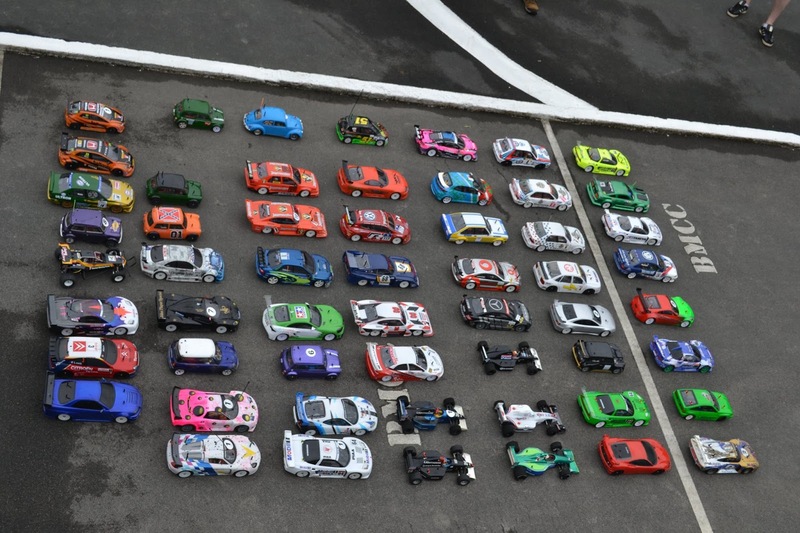 Importantly we could only run scale shells, no racing shells, to ensure the cars looked cool. So here is our race report from both parts of the championship. An uncharacteristically sunny day greeted us for the first round at the West London track. There were around 70 cars ready to be raced and they looked great as they were all lined up for the photos and driver briefing. 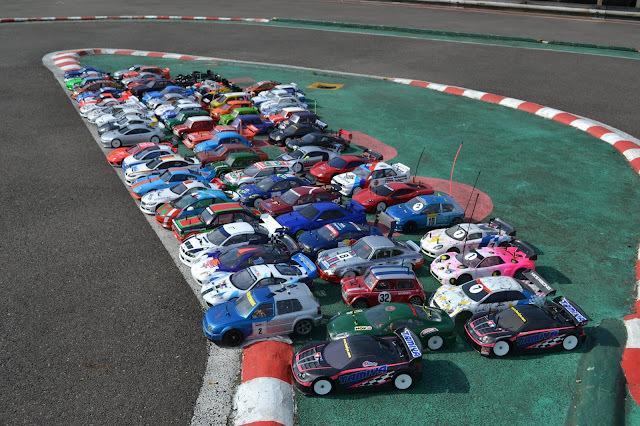 Loads of drivers, different Tamiya chassis and a sunny day! 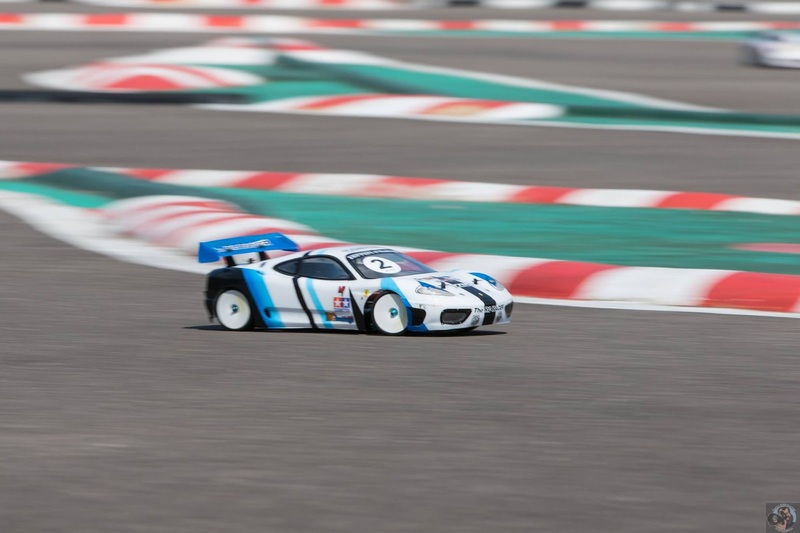 After being given the lowdown of the event we prepared for the first round of qualifying. The race format for the day was 4 rounds of qualifying with the fastest time you achieved (FTD) determining the final and grid position for a single final race. Andy was racing in the stock touring class. 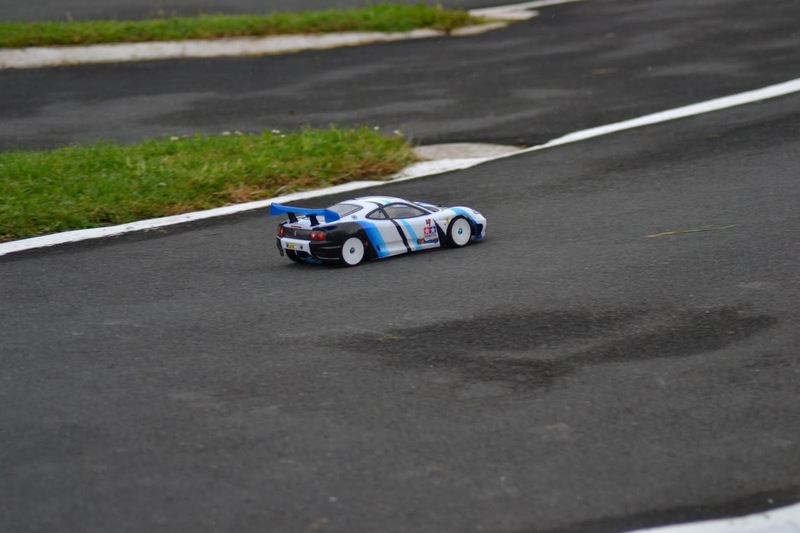 This class was primarily focused on Tamiya on road plastic tub cars., from the TA01 up to the TA04. The hop-ups for this class were kept to a minimum (Ball races, turnbuckles etc). As you would expect the TA-04 was the car that most thought would have the competitive edge, as they were the most modern and had a lot of design influences from the TRF414. Andy was nervous how he would be able to compete against them with his TL-01 LA. As he lined up on the grid for qualifying he was concerned that the lack of gearing options would put him at a disadvantage. However once the qualifiers started the fears were soon allayed. Yes the car was slightly slower on the straights, but the car handled really well on the technical infield section and Andy's experience of racing at the west London track ensured that he was able to hit the apex;s time and time again. With the weather staying hot (Very hot) their were very little curve balls to change the way in which he attacked the qualifiers. The only thing that derailed him a little was that he tried a different tyre in one heat. Andy was using the Ride Rex30 tyres and was curious how the Sorex 32 tyres would handle. As it happens his time was a little slower on these, so he swapped back for the final qualifier, which saw him achieve the overall FTD of the class. My qualifying was a little more stressful. 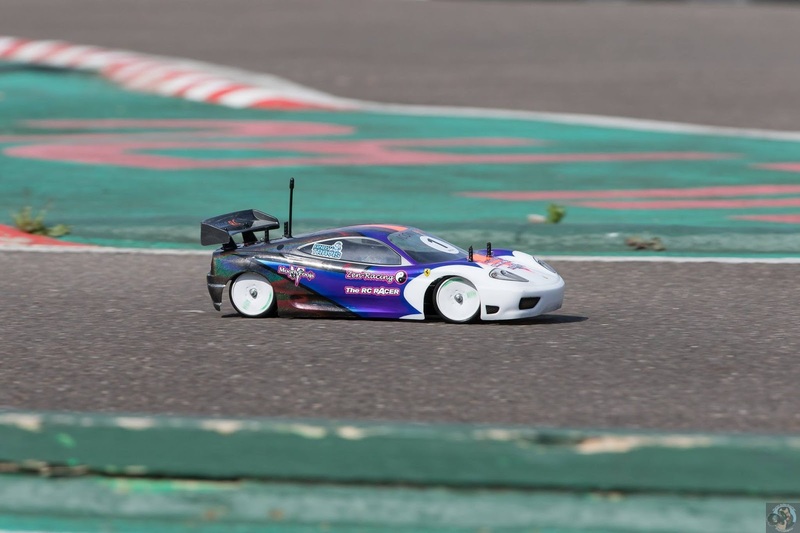 The car felt good, but I had not really spent enough time working on my set-up and the rear end was a little too loose for my liking as I powered out of the corners. The car just didn't feel that planted, and as I was exploring the maximum levels of grip available I had a very major off, knocking my whole steering assembly out of kilter. With this fixed I also changed the shock positions and added a little more droop to the front to ensure it would put the weight backwards when I had the throttle down. This made a big change to the way that the car handled and I started to feel confident as drove my second qualifier. Things were going well until suddenly I was T-boned by a back marker, knocking the battery out of the car so another failed qualifying attempt. Scale shells for the win! 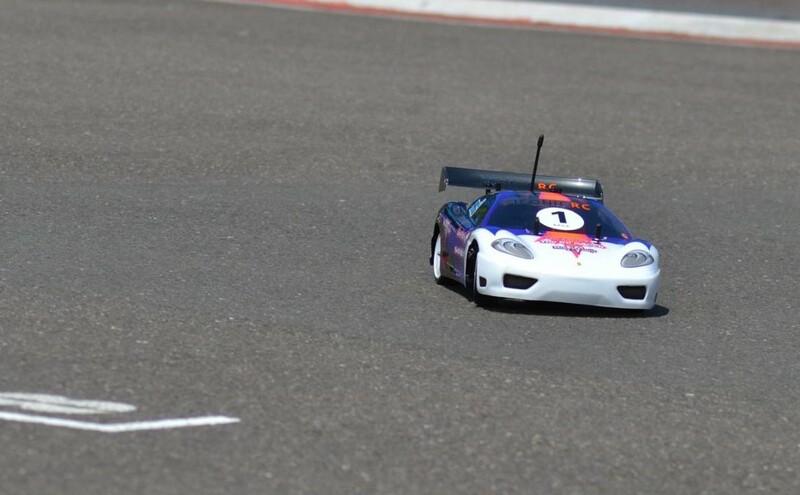 I took the third qualifier easy keeping out of trouble to get a banker time, and then in the fourth round I raced as hard as I could and managed to get close to the FTD for the class and took second fastest overall time. Andy was lined up on the grid in first place and he then raced away, and maintained his lead, however keeping that lead was not easy. At the start, a back marker's car launched itself off a kerb and landed in his path, leading to a quick evasive manoeuvre. This lost Andy some time but he was able to keep his car ahead. My race involved me lining up in second place. As the race started I managed to keep behind the leader and apply pressure. The tyres started to come alive and I posted the fastest lap of the race and started chasing for the lead as I started to push for a move, I got side by side but I couldn't make the move stick. I then tried a little too hard and went off the racing line and gathered a little too much dirt on my tyres. I just followed behind to take second place. So with the first round under our belts, we had had a great time with a very friendly crowd and were looking forward to the final round. Things couldn't have been more different for the second round as the rain lashed down on a very muggy Sunday morning in Broxtowe. As we huddled under the Gazebo there was a break in the clouds and we all gathered around for the drivers meeting. The format was the same as the earlier round and we all hoped that the rain would keep off for the days racing. As the first round of qualifying started, so unfortunately did the rain. Both Andy and myself had a decent first run, with Andy getting 3rd fastest time in class and I also managed 3rd in my class, despite the rain getting heavier and heavier. As the second round started we were all called for another drivers meeting. 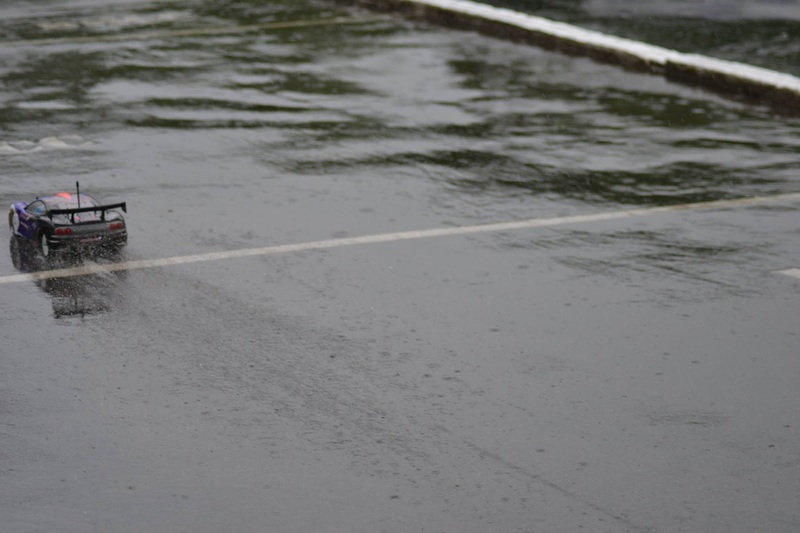 The rain was so heavy it was unlikely that anyone would beat the times set in the first few qualifiers as the conditions were terrible. So we decided that we would do points for the best 3 qualifying positions instead. Making it worthwhile to go out and race. Things got worse. 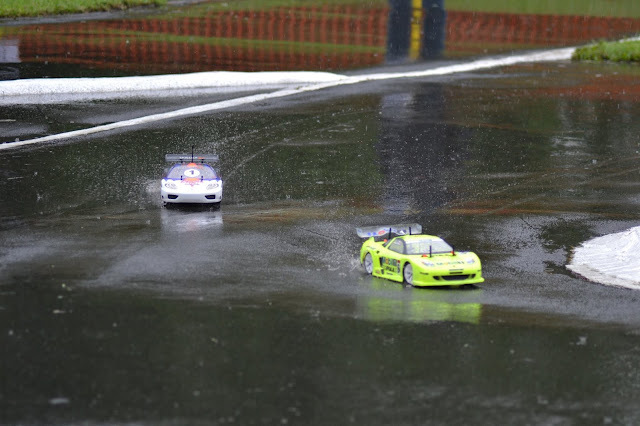 The track was so wet that we all ran wet tyres and made quick attempts to waterproof our cars. Things didn't work well for me as my car started to cut-out in my qualifier, and Andy's old KO esc went pop as some water had got into it. A frantic amount of waterproofing and swapping electronics was happening under our gazebo, as the clock was ticking. Electrics were stuck in balloons and bluetak was used to block up any little holes over receiver plugs. We made it, both with new escs in the car. 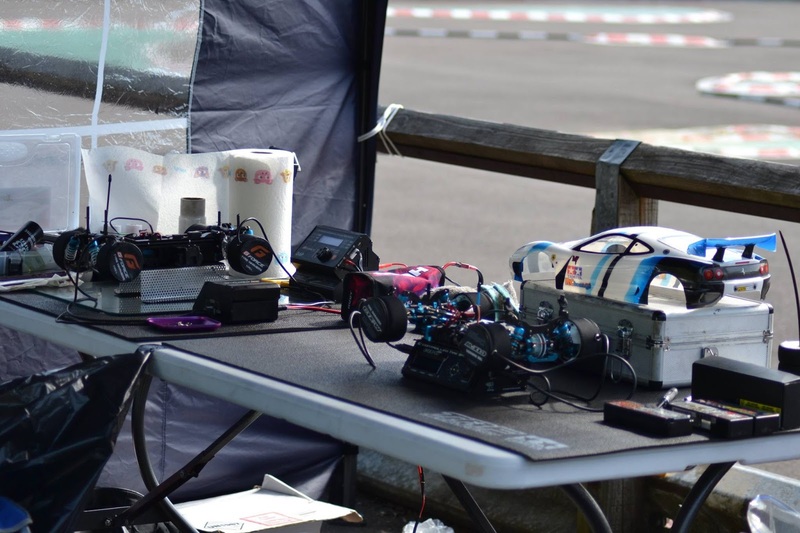 Andy had a Hobbywing 1060 to power his Sports tuned motor, and I had a G-Force TS120 to power my 13.5 Vampire motor. Andy was really impressed with the Hobbywing 1060, and it gave him a lot of punch and it was smoother and faster than his (Albeit old) KO esc. This allowed him to work up to an impressive 2nd place in the qualifying by taking 2 successive fastest times and placing him second on the grid for the race. I also managed to do well. Despite the heavy rain the car handled great and the Gforce ESC was really smooth, ensuring that I was able to respond to the slippery wet track surface. I took first in the third round and then whilst ahead for the fourth round I made a mistake 30 seconds from the end and ended up in second place, but also gave me second place on the grid for my final. 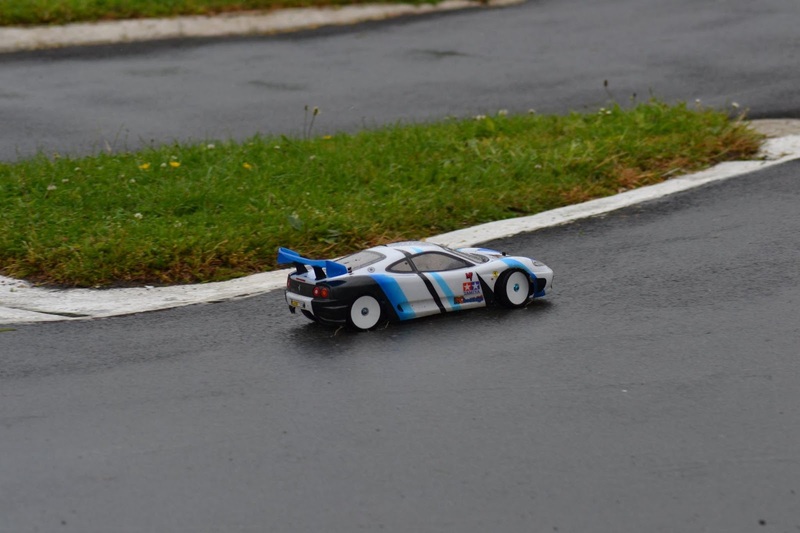 We had a slight intermission from the rain and the track dried rapidly, so we all started to prep our tyres, but as the finals were about to start the heavy rain came again, leading to us all to dig the wets back out, as there was no dry line and the track was soon accumulating a lot of standing water. First up was my final, and to win the championship I had to finish first to have any chance of taking it from my main rival. I had qualified ahead of him in second place (he was in third), but a lot can happen in a race and I had to keep my nerve. The start was great and the car felt absolutely dialled on the wet track. I was chasing the leader and we were a few seconds ahead of the rest of the field. 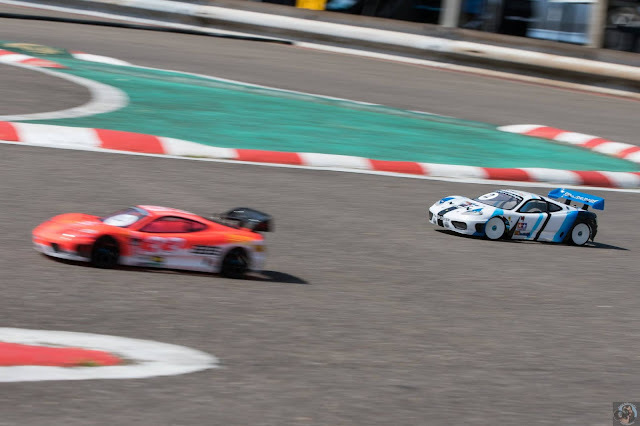 The racing was incredibly close, as I sneaked in on a few of the corners and we would rub paint but I was unable to hold the position into the next corner. I didn't want to try too hard early on as the car felt so good I knew that I would get a few more opportunities. After a few more attempted passes on the infield I realised that at the end of the main straight the leader was a little slower than me as they took it easy going into the raised section. I decided to attempt a pass there, so I changed the way in which I took the corner coming out of the straight to get even more speed and after a couple of laps it all hooked up, I got side by side on the main straight and out-braked him into the corner and took the lead with a minute remaining. I managed to gain a little bit of a lead, but then made one mistake and clipped a kerb, luckily the car settled and although the second place guy rapidly caught me I managed to take it easy on the last lap and take the race victory, and as my main rival was third I also managed to take the TRF class championship. Andy's final was the last of the day and he only had to maintain his second position to take the overall championship for the stock class. However, Andy wanted the win to get a clean sheet off victories. 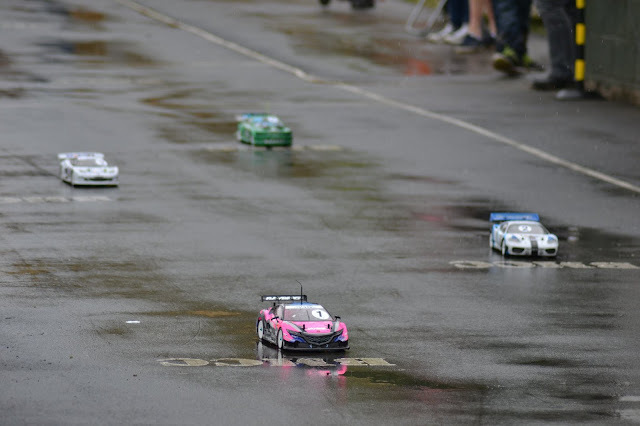 As the starting beeps bellowed out across the track the cars raced away with water splashing around, and then it happened, there was a large coming together at the start and Andy found himself at the back of the pack in tenth place. With everything hanging on the next 300 seconds he had to dig deep and push! The rain was intense, but so was Andy, as he weaved through the field. 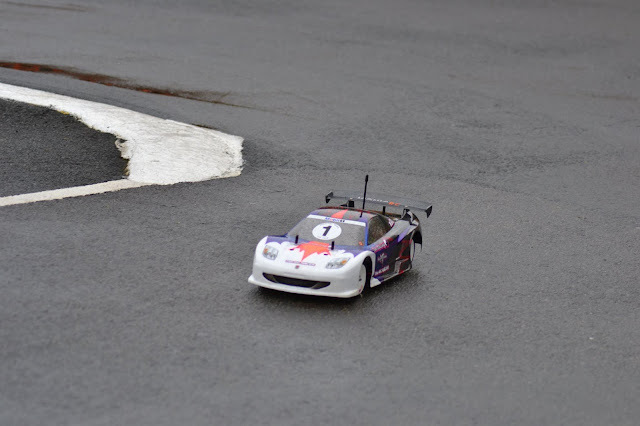 The TL01 was handling the difficult conditions well and Andy had to hit every apex perfectly to ensure he could catch those ahead, as with some running other cars that gave taller gearing they did have an advantage on the straight. 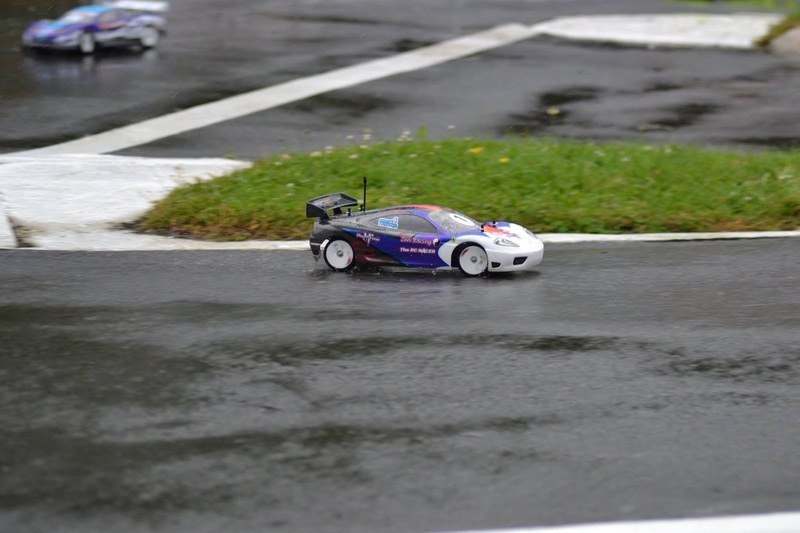 With just under a minute remaining and the track drying, Andy had worked all the way up to second place. He was on a charge and was enjoying the chase so instead of taking it easy he decided to risk it all and go for the win! 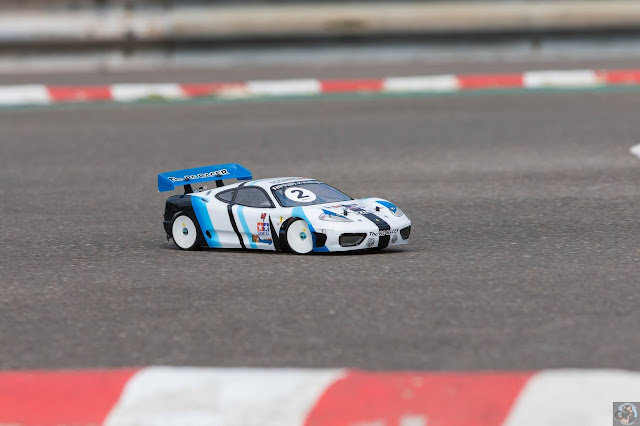 The leader was driving superbly and the time ticked down, and followed for a few laps and then he found a gap and passed, and charged to the line to take first place and the overall championship win! We had a great time racing at this event. 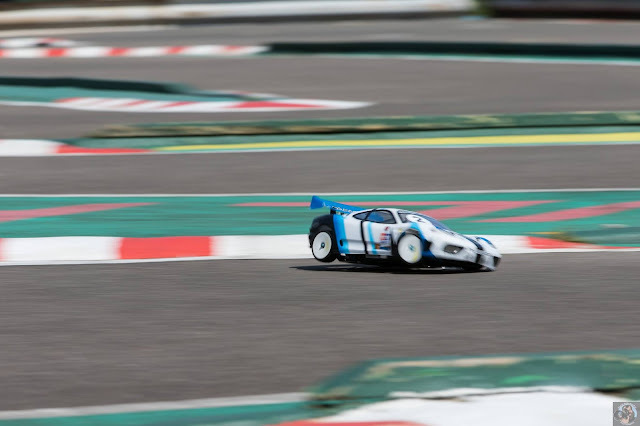 It was great fun racing older cars, and taking a look at the other Tamiya classics on the track. Importantly the banter and comaradery between all of the racers there was fantastic, and it was all for a good cause with nearly £975 raised for the Parkinsons UK charity! A successful series with both off us winning our classes! The 2017 Iconic cup will be even bigger and better with 4 rounds, we will supply more info with the dates and rules when they become available. Thanks to RC bearings , Moody fools and Zen Racing.